All departures are to be booked as private tours. Our Hike & Relax tours are ideal for all nature and activity lovers who are keen hikers or walkers but prefer really small groups with a personal touch to hiking with bigger parties. During the day enjoy easy and medium hikes under the guidance of our knowledgeable and friendly guides through stunning wild nature and relax during the night in cozy rooms with private facilities at the charming country hotel. The daily easy hikes of 10-16 km take you to the most beautiful spots in Iceland and to genuine off-the beaten-track discoveries. For dinner enjoy true Icelandic hospitality at the restaurant famous for its slow cooked local dishes in an elegant and peaceful atmosphere. For perfect relaxation end the evening underneath the wide arctic sky in the geothermal hot tubs in the hotel garden - only a few steps from your room. Could life be any better? We invite you to join Exploring Iceland on foot for an unforgettable vacation that invigorates your body and engages your soul. 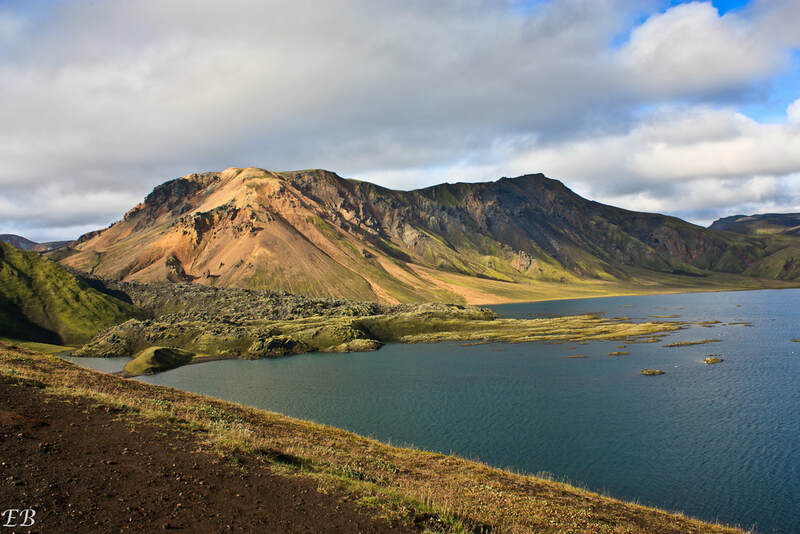 During the lovely easy hikes we discover the natural wonders of South Iceland with wild canyons and waterfalls, historic Viking sites and amazing views of volcanoes and glaciers. Stunning riverbank paths, remote valley trails, undiscovered waterfalls and colorful mountains will be your daily walking companions. Accommodation for three nights at the charming Country Hotel Flúðir, located in a small rural village. Enjoy the geothermal outdoor jacuzzi at the hotel and other energizing bathing pools within easy walking distance: the local pool with sauna (5 minutes walk) and the famous Secret Lagoon, a natural geothermal bathing spring (10 min. walk). Level of expertise required: Moderate – hiking distance is 10-16 km per day. 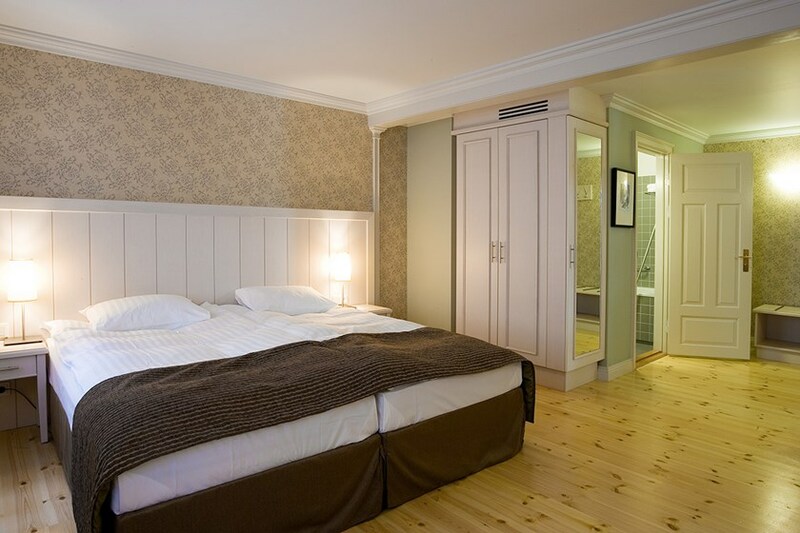 Accommodation: Hotel accommodation in double/twin/single rooms with private facilities at cozy Icelandair Hotel Flúðir. Accommodation in Reykjavik not included but can be arranged. Meals: Breakfast buffet and good picnic lunch. Guide: English and German speaking. Great for couples, families, group of friends etc. ​Please note: Dinner is not included, the hotel has its own restaurant and and there are more restaurants in walking distance to the hotel. Only the hiking tour is guided. The guide is not staying at the hotel. Pick up at 9 am at your accommodation in Reykjavík. Please be dressed already for hiking at pick up time. Private Exploring Iceland transfer to Flúðir Hotel where you will meet your hiking guide for the next days. He will take you from Flúðir to the wilderness north of the romantic valley of Tungufellsdalur. We climb on a high mountain plateau and follow the narrow tracks accessible only to hikers, sheep and horses. We enjoy wonderful views of the wild green mountainside, follow little creeks with spring water and surely get a wonderful feeling of mountain freedom. 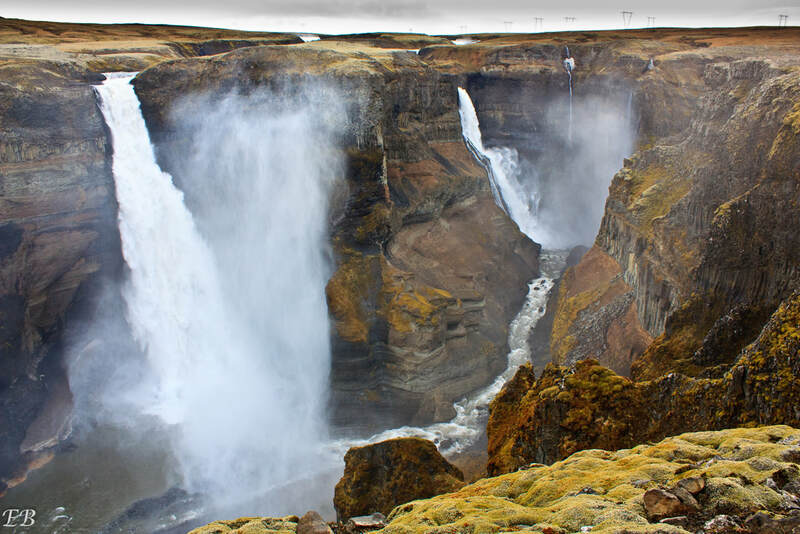 The highlight on today´s hike is to walk along the canyon of the wild glacial river Hvítá and see the famous Golden Waterfall from the eastern and far more "secret" side. Back at the hotel the restaurant offers lovely local specialities in a relaxing and cozy atmosphere. Later on you might want to join fellow travelers in the geothermal hot tubs underneath the great big arctic sky. A great place to exchange stories of wonderful sights and outdoor adventures! Walking distance: 13-14 km / 4-5 hours. We meet our guide in the morning and start by driving through beautiful farming countryside up into the mountains where the landscapes is dramatically changing. Landmannalaugar is an area of stunning beauty and one of the most popular hiking territories in Iceland. We start our walk with a visit to to the well known Lake Ljótipollur which fills an ancient volcanic crater. A small climb takes us to the beautiful lake and excellent views from the crater´s rim. As we continue our easy hike we can can indulge in the multi colored mountains, ranging from red to green. Highlight of the day will be a warm bath in the geothermal stream surrounded by black lava and colorful rhyolite mountains. The adventurous Jeep route through Dómadalur valley takes us back into the direction of our cozy hotel. Dinner individually. We meet up again with our guide in the morning a take a short drive back to Tungufellsdalur valley. Today´s hike will be along the unforgettable and stunning canyon of the famous salmon river Laxá. The canyon is about 100-200 meters deep and about 10 kilometers long. A calming feeling of high mountain wilderness will grip us when we hike along the many different rock formations and to places where nature is at its most beautiful. We start our hike near the green fields of Fögrutorfa and narrow paths will take us to an abandoned farm called Hrunakrókur, the most romantic setting for a farm you could imagine. Back to the hotel for a relaxing evening in the wonderful hot tubs of the hotel! Dinner individually. 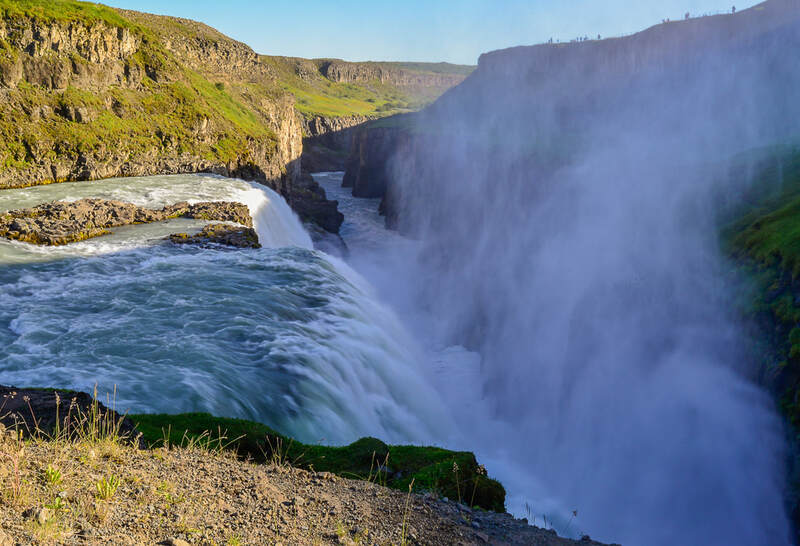 We meet our guide in the early morning (leaving our luggage at the reception) and drive towards the Þjórsárdalur valley with a stop at the beautiful Hjálparfoss waterfall. We leave our car at the Viking ruins Stöng and walk along to the paradise valley Gjáin. Gjáin is a tiny valley with lots of small picturesque waterfalls, clear, tranquil ponds and amazing delicate volcanic structures. You could call it a beautiful sample of everything Icelandic nature has to offer. From Gjáin we walk to Háifoss waterfall which is one of the highest and also one of the most striking waterfalls in Iceland. Placed in a magnificent but relatively narrow gorge, it falls an impressive 122 meters down the two million years old cliff. Sided by another waterfall, called Granni, the "neighbor". Beautiful views of Mt. Hekla and the glacial river Þjórsá will accompany us during our drive back to the hotel to pick up our luggage. The private Exploring Iceland Transfer back to Reykjavík takes you to Thingvellir National Park, the place of the ancient parliament situated right on top of the clearly dividing earth plates. The tour ends in Reykjavik in the late afternoon. 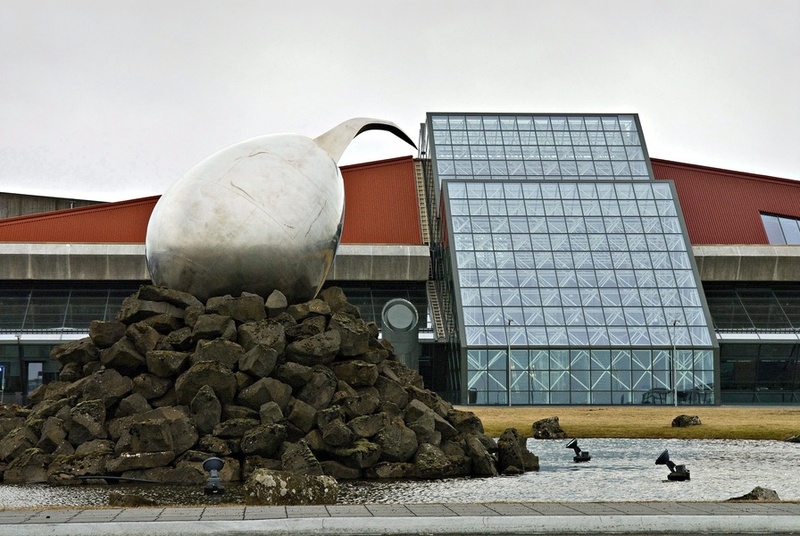 Drop off at your hotel in Reykjavík or the BSÍ Bus terminal to catch the flybus to Keflavík Airport. 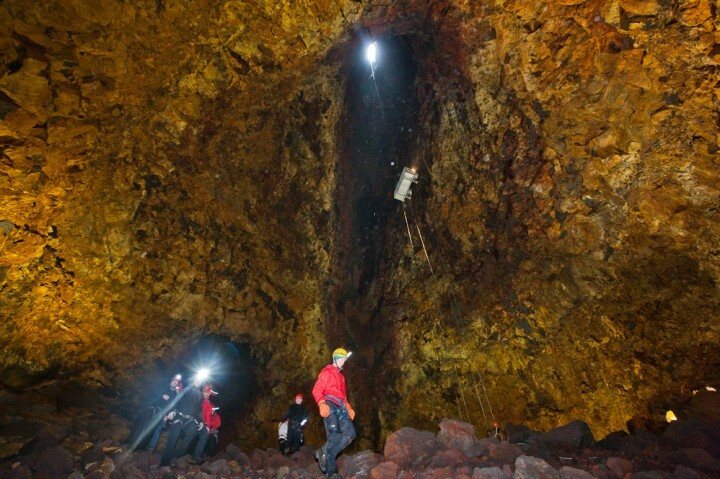 ​Exploring Iceland reserves the right to alter routes, itineraries or timetables should the necessity arise. The estimated duration of tours as indicated by km or timing can change according to road or weather conditions.